The company put the mine up for sale in March, but it has now decided to expand its horizons beyond the current exclusive discussions with a preferred bidder. 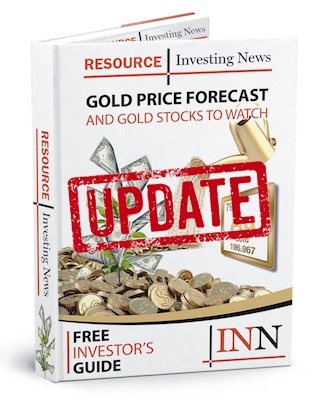 Toronto-based RNC Minerals (TSX:RNX) has discovered 9,000 ounces of high-grade gold at its Beta Hunt mine, causing a retraction from exclusive discussions with a preferred bidder for the Western Australian mine, the company announced on Sunday (September 9). RNC announced that it had produced 9,250 ounces of high-grade gold from a 44 cubic meter cut on 15 level at Beta Hunt, totalling more than 70 ounces per tonne or 2,200 grams per tonne. The announcement caused the company’s stock to rise 100 percent. “Recovering 9,250 ounces of high grade coarse gold from a single cut on the 15 level at our Beta Hunt mine, including specimens which could rank among the largest ever discovered, underlines the importance of this discovery,” said Mark Selby, president and CEO. “Just 8 weeks earlier, at the end of June 2018, 1,500 ounces of high-grade gold were recovered from other sediment structures on the 14 and 15 levels. These discoveries highlight the high-grade gold potential of Beta Hunt,” he added. The gold discovery included about 190 kilograms of specimen stone, the largest of which is 95 kilograms with an estimated gold content of 2,440 ounces. The finding also included an additional large specimen stone of 63 kilograms with an estimated gold content of 1,620 ounces. RNC noted that the high-grade coarse gold would be sent directly from site to the Perth Mint this week, and the company expects the recovery to yield about C$15 million in cash. Due to the significance of the discovery, RNC reported that it would reconsider its options for the Beta Hunt mine, which it put up for sale in March. In July, the company announced that it had selected a preferred bidder, however the interested party was never named. A transaction was expected to close in August. RNC said the alternatives continue to include a potential sale, but the company is no longer in exclusive discussions with a preferred bidder. The company noted that it was the first owner of the Beta Hunt mine to focus on drilling deeper in the Lunnon Basalt in its quest to find gold, and, therefore, the first owner to discover and mine gold from newly discovered coarse gold located entirely within the Lunnon Basalt. Previous bonanza grade specimen stone occurrences at Beta Hunt were associated with the nickel/sulfide-bearing contact between the Lunnon Basalt and the overlying Kambalda Komatiite, where nickel mining has been focused on by RNC and previous operators. As of 2:06 p.m. EST on Monday (September 10), RNC was trading at C$0.17. Pingback: This Company Made a Once-in-a-Lifetime Gold Discovery — What's Next?